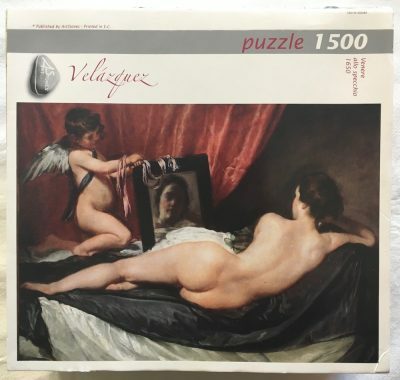 This is a very rare puzzle by Philmar, a British company now out of the market. The title is A Girl with a Watering Can, by Pierre-Auguste Renoir. The puzzle is NEW, with its original FACTORY SEAL, although there is a bit of plastic missing from the base of the box. There are many puzzles with paintings by Renoir. 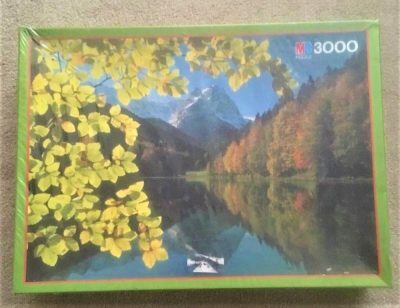 As an example, we can mention the 2000 pieces version of Afternoon with the Children, which Ravensburger published in 1991. 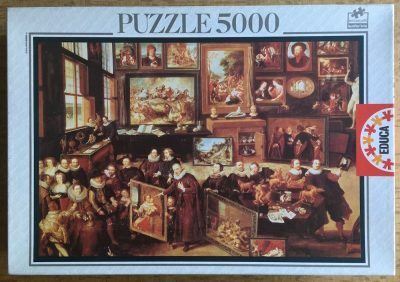 Puzzle size: 68.5 x 49 cm, 26 15/16″ x 19 1/4″.